AFC Dunstable have been handed an incredibly tough draw in the FA Vase fourth round as they will host Wessex Premier Division outfit Salisbury. 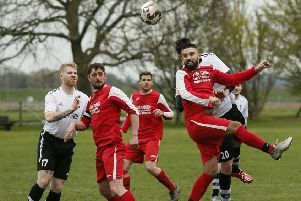 Their opponents are a phoenix club, risen from the ashes of Salisbury City, who competed in the Conference until the 2013-14 season, when they folded after failing to clear their debts. Salisbury are currently second in the table though and are managed by former Portsmouth player Steve Claridge as AFC boss Steve Heath said: “Apart form Hereford, Salisbury is the next toughest team we could have drawn, although one good thing is we have been drawn at home. “It should be a fantastic game between two teams in good form. “These are the sort of games as a manager you look forward to, as it pits your wits against the best.